With EARLY MAN arriving in cinemas yesterday, AARDMAN and STUDIOCANAL are delighted to announce that the Stone Age has come to Bluewater. 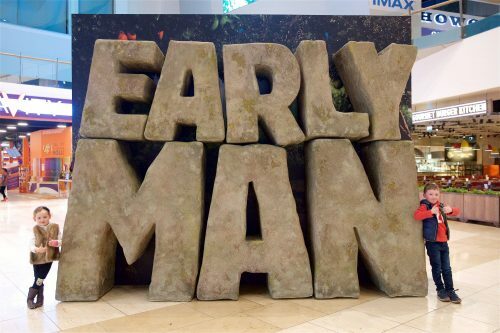 Inspired by the shopping centre’s quarry surroundings, a rock-ing photo opportunity has been placed within the mall to launch a series of fun EARLY MAN activities for families this half term. The prehistoric events will take place at shopping centres nationwide from 12th – 22nd February 2018, including Westgate in Oxford, Trinity and White Rose in Leeds, St. Davids in Cardiff, Buchanan Galleries in Glasgow, Southside in Wandsworth and Bluewater. Set at the dawn of time, when prehistoric creatures roamed the earth, EARLY MAN tells the story of courageous caveman hero Dug and his best friend Hognob as they unite his tribe against a mighty enemy Lord Nooth and his Bronze Age City to save their home. Goona is the gallant and indomitable rebel who befriends Dug and helps the tribe in their battle to beat the Bronze Age at their own game. The partnership with AARDMAN and STUDIOCANAL also sees the launch of an AR trail to be deployed across LANDSEC’S portfolio where families will be given the opportunity to meet the Early Man tribe through downloads of mini-clips produced exclusively for 10 shopping centres. 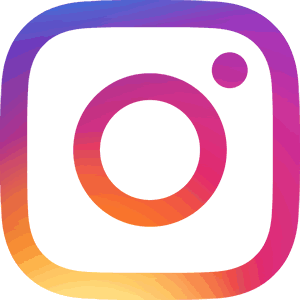 This demonstrating its commitment to creating memorable experiences through innovation. Early Man – Who will win? Who is in Early Man?